Vehicles go through multiple safety tests and crash simulations to make sure that they are safe for consumers to drive. The scary thing is, your vehicle could be a danger to you, not by failing to protect you from impacts in a collision, but because of the internal components in the vehicle itself. Recently, Kia Motors has issued recalls for around 68,000 motor vehicles because of reports that hundreds of those vehicles have caught fire. Kia Motors issued a recall plan on January 11, 2019 which calls for thousands of vehicles to be taken to a Kia dealership so that high-pressure fuel pumps can be inspected. The fuel pumps were installed as a part of a previous recall for engine replacements, but Kia has found that in some cases, the fuel pumps may not have been properly installed. The company has not technically been able to issue a full recall yet due to the ongoing government shutdown. All recall plans must go through and be approved by the National Highway Traffic Safety Administration, which is currently only partially operating due to the shutdown. In the recall plan, Kia states that during some engine replacements, the high-pressure fuel pipe may have been damaged, misaligned, or improperly torqued, which could lead to fuel leakage and an increased risk of fire. Kia estimates that 50,051 Optimas, 17,024 Sorentos, and 1,052 Sportages are affected by this new recall. Owners of these vehicles will be notified by mail to bring their vehicles to their Kia dealership so that the mechanics may investigate the fuel pipe connections. Owners will be reimbursed for repair expenses. As with other products, consumers should not have to worry about their safety when using a motor vehicle. In this case, it was not the manufacturing of the vehicles that posed the danger, but a fix to a previous recall that was not performed correctly in some cases. 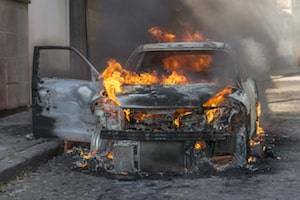 If you have suffered an injury in a vehicle fire or another dangerous condition caused by faulty parts in a vehicle, you may be able to pursue compensation for your injuries. A skilled Wheaton, IL product liability attorney can help you determine whether or not you can sue for damages. Contact Walsh, Knippen & Cetina, Chartered right away to get started on your case. Call our office at 630-462-1980 to schedule a free consultation.